Large and powerful upright vacuum cleaner. 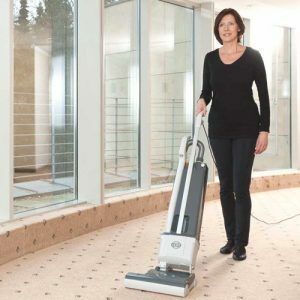 700mm working width, twin vacuum motors, separate brush motor – for large carpet and hard floor areas. 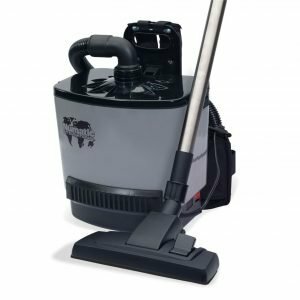 A powerful 3-motor vacuum with a huge 35 litre capacity dust bag and extra wide pick-up nozzle, the GU 700 A makes short work of cleaning large carpeted areas. Designed for maximum productivity this unit easily handles 700 m2 per hour, and is the right machine to choose when the job needs doing quickly and thoroughly. With the GU 700 A cleaning is fast and easy. 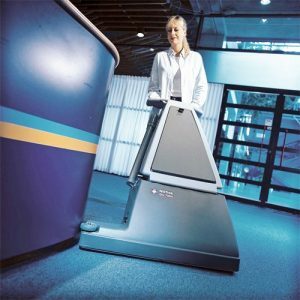 A single pass leaves a thoroughly cleaned 65 cm wide area of carpet. 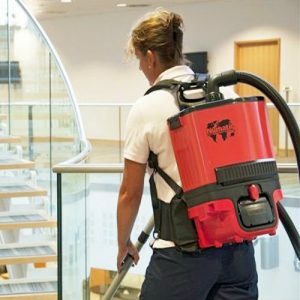 Even large banquet rooms or carpeted exhibition areas can be thoroughly vacuumed with the minimum of trouble or time. When obstacles are encountered, the GU 700 A has the manoeuvrability to clean around furniture and to make sharp turns. At a working rate of 700 m2/hour the productivity is excellent. The GU 700A is an optimal upright solution for daily vacuum cleaning of large areas of carpet. It is the right machine to choose when jobs need doing quickly and thoroughly. 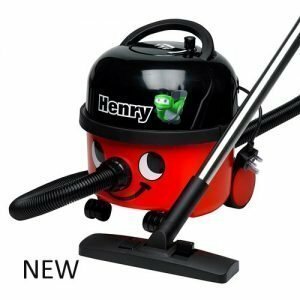 The separate motors for the brush and vacuum, provide high performance and durability together with an in depth cleaning of even solid mud.